Grinch Harbor Holidays is held annually on the first Saturday in December. The Grinch comes to Fairport Harbor, Ohio to steal Toys for Tots from numerous merchants, businesses and retailers across town interrupting their day and causing distractions. The toys at these locations have been donated and/or purchased by Fairport Harbor Heritage Foundation. During the day the Grinch visits the Fairport Harbor Public Library on Vine Street for a public reading of Dr. Suess’ How the Grinch Stole Christmas. Finally, the Fairport Harbor Police are able to catch up with him and “arrest” the Grinch who is taken to the Police Station while the toys are then donated to Toys for Tots at the VFW Post #7754. Help us support this great annual tradition, make a donation to the Grinch Fund. 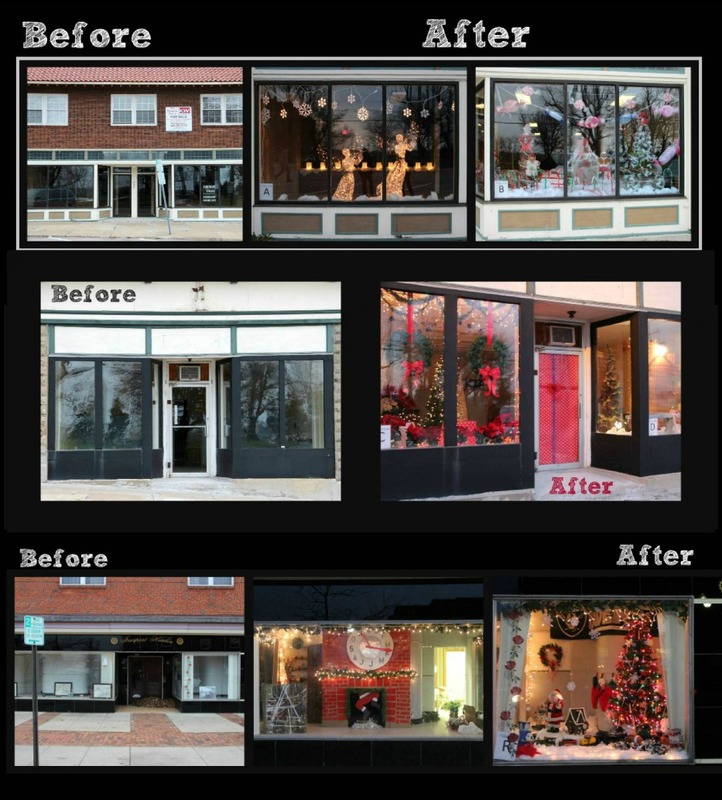 Fairport Harbor storefront windows Before and After for Grinch Harbor Holidays.